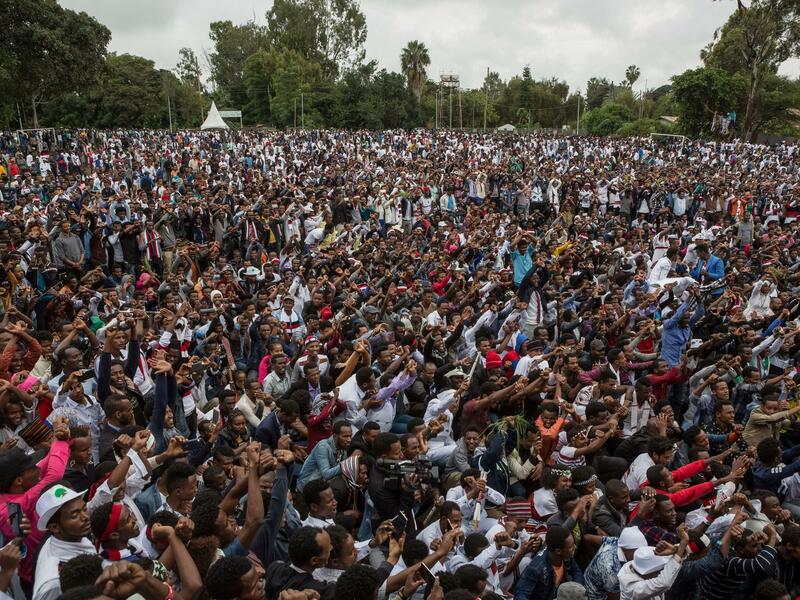 In Ethiopia, the young protesters who forced out the country's repressive government this year were seen as heroes. Now many worry their ambitions could tear the country apart. Members of the large Oromo ethnic group took to the streets to seek equality. And after three years, they helped bring down a prime minister. As part of our coverage of the transition in East Africa, NPR's Eyder Peralta met the group's leaders and asked whether they risk inflaming dangerous ethnic tensions. EYDER PERALTA, BYLINE: Kemal Welyali is giving me a driving tour of Shashamane, a city about five hours south of the capital. On this main street, protests were common, and so were deadly clashes with security forces. UNIDENTIFIED INTERPRETER: This was the area where a lot of lives has passed. PERALTA: Kemal was instrumental in recruiting fellow Oromo protesters. Oromos are the largest ethnic group in Ethiopia. But he says a lot of them were unemployed and felt left out of Ethiopia's recent prosperity. Kemal's job was to contextualize that, to teach them about how Oromos had been marginalized since imperial times. KEMAL WELYALI: (Through interpreter) While we are in our country, they didn't consider us as a citizen. PERALTA: So they set up boycotts and blocked streets, bringing the country's economy to a standstill. Other ethnic groups joined in, and they won. Suddenly the prime minister resigned, and the country's first Oromo prime minister came to power. But since then, ethnic clashes have displaced thousands of people. The car stops in front of a strip mall. A few weeks ago in this same spot, a young man from a different ethnic group was falsely accused of carrying a bomb to a political rally. He was hung on a lamp post by his feet and beaten to death. K WELYALI: (Through interpreter) But we were not the one who hung him. 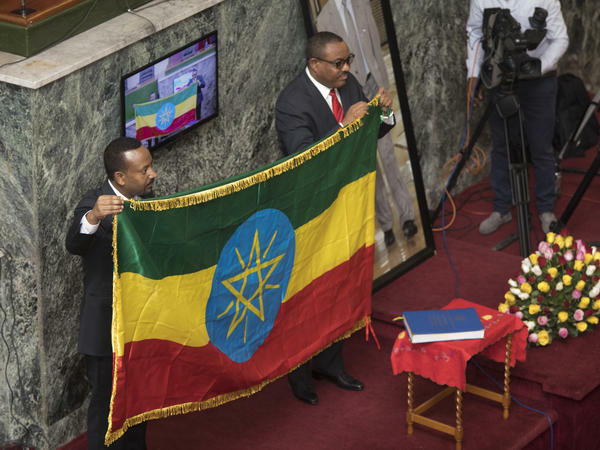 PERALTA: But as those images of a mob of young Oromo men surrounding that limp body made their way across Ethiopia and especially the ethnically mixed capital, Addis Ababa, it struck fear that a noble uprising against a cruel government had now empowered violent ethnic nationalism. Kemal says they are misunderstood. So let me tell you what I hear in Addis Ababa. They think you're radicals. K WELYALI: (Through interpreter) Even the foreigner not - the foreigners doesn't know us and our struggle. That's why they are afraid of us. PERALTA: And the fear cuts both ways. Suddenly I see panic on his face. K WELYALI: (Foreign language spoken). UNIDENTIFIED INTERPRETER: He's saying there is a problem. There is one police dead or so, so it's better to move. PERALTA: A police officer had just been killed outside of town. He still fears that someone will seek revenge, so we drive. Protests began about three years ago, sparked by a government plan to take more Oromo territory for the capital. At the time, the press was tightly controlled, so an exile in Minnesota gave voice to the uprising through Facebook and a satellite network through shaky cellphone videos showing the protests and the abuses of the security forces. PERALTA: With a new government, Jawar Mohammed is back from exile and says no one thought they would succeed. JAWAR MOHAMMED: It defied all logic. PERALTA: Oromos make up more than a third of the country. Jawar says that this rebellion was about more than standing up to a minority-led government. It was about building Oromo self-esteem and pride about who they were. What's emerged, he says, is not some nationalist movement but a politically conscious youth. MOHAMMED: They're assertive. They're proud of their achievement. But they're not radical. PERALTA: He says not radical. Still, big issues have emerged. Across Ethiopia, Oromos have clashed with other ethnic groups. And they have two huge demands. They want the capital, Addis Ababa, now a federal district, to be under their administrative control. And they want the Oromo language to displace Amharic as the country's official language. 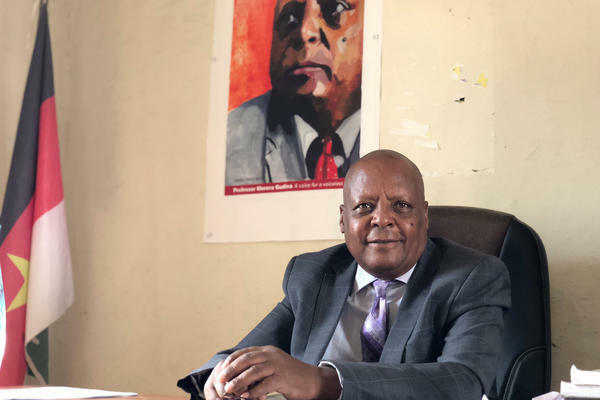 MERERA GUDINA: There are a lot of clashes of dreams. PERALTA: That is Merera Gudina, a veteran Oromo politician in Ethiopia. He was imprisoned by the previous regime and freed because of the protests. 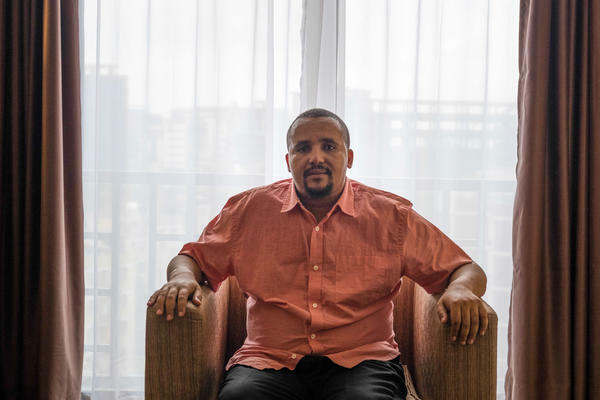 But he says this is a dangerous time in Ethiopia because what's happening right now is those clashes of dreams are being resolved through violence. If there is no negotiation, he says, the country could crumble. GUDINA: You should be able to handle it, negotiate over the basics and at least able to manage those dreams. PERALTA: Back in Shashamane, the clouds open up as we drive to meet Kemal's 18-year-old son, who protested with his father's encouragement. Wetumusa, the son, shows me a scar where the military shot him in knee. More than a thousand protesters were killed, and tens of thousands were imprisoned. Wetumusa says the military raided classrooms and sent students to re-education camps. WETUMUSA OWELAYE: (Through interpreter) And they told us to lie down. Then they were put - they were beating us with the sticks. And they were running over us with their big shoes. PERALTA: Pregnant women and old men were beat alongside him. This was not an easy struggle, he says, but they have won. And there are some things, including the federal surrender of Addis Ababa, that are not negotiable. Eyder Peralta, NPR News, Shashamane, Ethiopia. Transcript provided by NPR, Copyright NPR.